” Skagit’s Own Fish Market” dish towels are a tradional flour sack towel with a Pacific Northwest theme. Each one is hand made and makes a great gift. Choose from a salmon, rockfish, octopus or our signature Dungeness Crab. 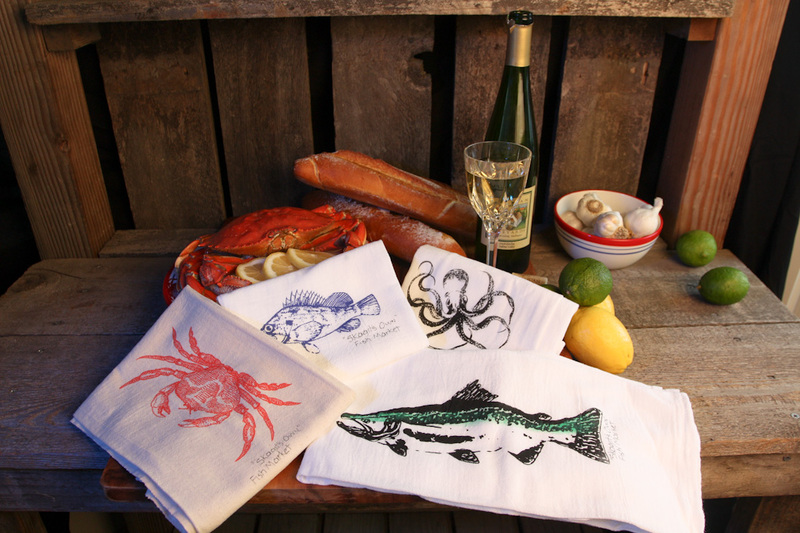 Our traditional flour sack dish towels are hand painted for us by a local artist, with your choice of a Dungeness crab, rockfish, octopus or a salmon and our name “Skagit’s Own Fish Market”. Our dish towels are available in natural and white cotton.